Here at Tecca, we need a big, bold cup of coffee to get us going in the morning. But after that first cup, we start to feel that post-coffee energy crash and start getting distracted from news reporting by videos of adorably cute panda bears. But no longer — two doctors at Penn State have created a brand new iPhone app capable of optimizing our caffeine intake during the day, and making sure the coffee we drink doesn't keep us awake at night. 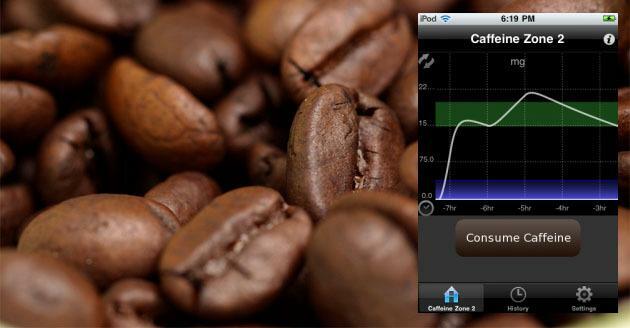 The free app, titled Caffeine Zone, was created by doctors Frank Ritter and Kuo-Chuan Yeh. Using an assumption that 200 to 400 mg of caffeine is the optimal amount for mental alertness, the app estimates the level of caffeine in your blood stream at any given time, cluing you in when it's time for another cup. Caffeine Zone supports all different types of caffeine intake, be it gum, coffee, tea, or energy drink. And the app even lets you adjust its settings if you're especially sensitive to caffeine or especially tolerant. We definitely fall into the latter category. Not an iOS user? Not a problem — there's a non-affiliated program called Caffeine Tracker to monitor your caffeine levels if you've got an Android phone. The downside is that it'll cost you 99 cents.